Deeded lake rights and deeded boat slip are included with this buildable lot in the desirable Sunset Bay lakeside community. Great location in a neighborhood of gorgeous homes. 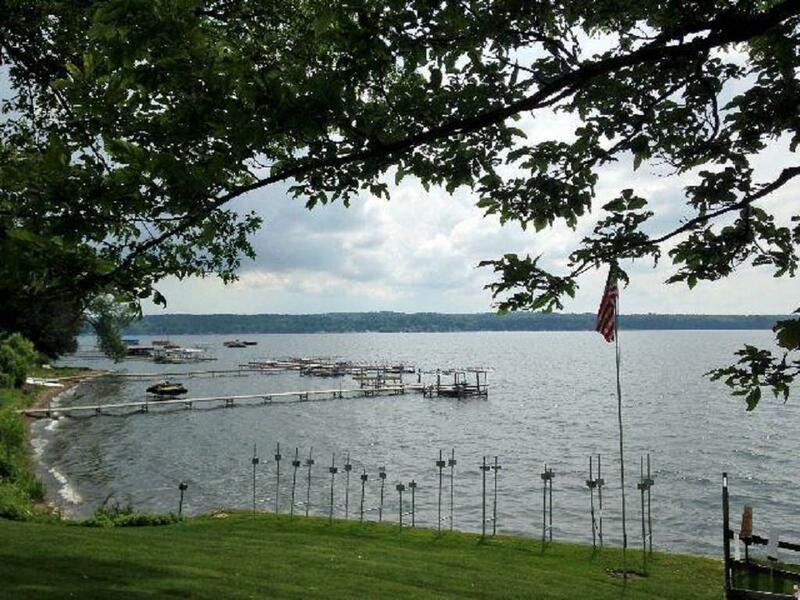 Large, level lot with a partial view of Chautauqua Lake. Very low HOA fee includes use of picnic area and firepit. Not all properties in the community have deeded boat dockage - this one has the advantage of an interior slip protected from the prevailing winds. Electric, gas, and public sewer are available at the road. Just a short drive or bike ride to Long Point State Park and the shops, concerts and restaurants of the village of Bemus Point.